1. Improve production of vegetables and rice and… if available. – Indirect beneficiaries: 8,712 farmer households (CFAP members), of which 5,154 female. – Budget compatible with scale and complexity of proposal. – Financial management adequate; CFAP received financial management training in Philippines in 2010. – No subsidy of production costs and of business capital. The total budget for one and a half years (1 July 2011 – 31 Dec 2012) is US$ 254,990. 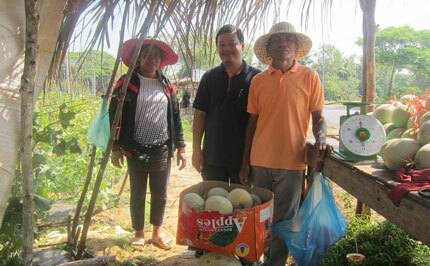 Improve the livelihood of member farmers through rural economic activities in vegetable and rice production and marketing.